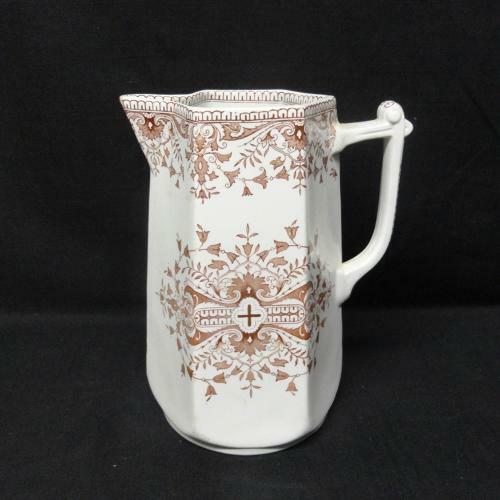 This Victorian aesthetic movement 8 " tall x 6 1/4 " wide tea water jug or pitcher is transfer printed in chocolate brown. The pattern features a border of geometric designs with fancy scrolls and lily - of - the - valley flowers. A fabulous central snowflake image and the decorative handle finishes off this great piece. The pattern displays the Victorian eras love of nature. Outstanding condition with no chips, crack, hairlines or repairs.